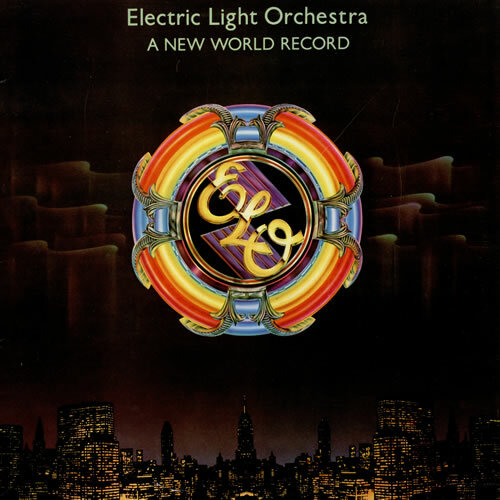 Song of the day: Electric Light Orchestra – "Telephone Line"
Well, I couldn’t think of a power pop song to play you today. That’s always been my favourite ELO song. I remember a singer was once asked in an interview who he thought was the greatest entertainer who ever lived, and his answer was: “Sammy Davis Jr – without a doubt”. From what I’ve seen and heard of Sammy, I wouldn’t disagree. “Don’t Shut Me Out” is the first regular pop song I’ve heard from Mr. Davis Jr. (or is that Junior Mr. Davis? ), and to me it’s weird. Enjoyable, but weird. That’s because I’m so used to watching and hearing Sammy doing his lounge act, either in The Rat Pack or on his own. (By the way, if you think that the “greatest entertainer who ever lived” comment is a bit of a stretch, try this out for size. I find it astounding.) I like “Don’t Shut Me Out” a lot. I really like the rhythm of it, and I really like the background vocals. Ah, those background vocals. Mmm. Cheesy. I have a big problem with ELO. For me, there are two ELO’s: the ELO I love and the ELO I despise. The ELO I love is the Electric Light Orchestra up to and including Out Of The Blue (1977). After that, ELO released Discovery (1979) (which my group of friends in high school called “Disco Very”). 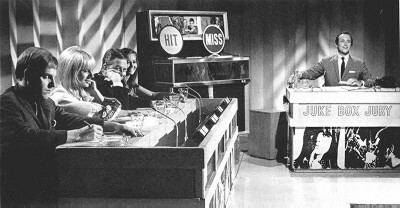 It appeared to me that Jeff Lynne had discovered the formula for a successful sound and proceeded to flog it to death. As far as my ears were concerned, Jeff ended up applying The Patented Jeff Lynne Sound Template™ to absolutely everything he came in contact with, including production work he did for others (Olivia Newton-John, Traveling Wilburys, and even – shudder – The Beatles Threetles). To me, everything Jeff Lynne did after 1978 sounds like self-parody because the songs he produced all sound the same. The tunes, lyrics, song structures etc are different, but the actual sound of each song, as well as the instruments Jeff puts into them (i.e., lots of acoustic guitars, lots of background vocals, lots of synthesizers, and a monotonously steady drum beat), is remarkably similar to me. Feel free to tell me that I’m completely wrong, but that’s what I hear when I hear something from Jeff Lynne, post-1978. And while I’m burning some power pop bridges here, I might as well let you know that I found that recent all-star album, Alpacas Orgling (2006), annoying because it applied The Patented Jeff Lynne Sound Template™ to everything there, too. I know that power-pop lovers went into paroxysms of joy over Alpacas Orgling, but it left me cold because every song on it had The Patented Jeff Lynne Sound Template™ applied to it. Why, oh why, oh why? I know that imitation is supposed to be the sincerest form of flattery, but if I want to hear ELO I’ll listen to ELO, not a group of power pop musicians pretending to be ELO. Rant over. Now, to “The Way Life’s Meant To Be”. I’m not overly fond of it, precisely because it has The Patented Jeff Lynne Sound Template™ applied to it. I think the song itself is a perfectly good one, but the production pretty much ruins it for me. One of the main reasons I dislike The Patented Jeff Lynne Sound Template™ is that Mr. Lynne applies that sound to any song regardless of what kind of song it would rather be. If I ignore the production and just concentrate on the music and the lyrics, I’m guessing that “The Way Life’s Meant To Be” would suit a Fifties production more if given the chance (it sounds like a Fifties song to me). I can imagine enjoying it more with a lot less instruments, and without all those interjecting background vocals (boy, they’re annoying!). And I can imagine Roy Orbison singing it. But no, Lynne-ardo Da Vinci, with the palette of musical colours available in his Patented Jeff Lynne Sound Template™, throws everything he has into the song and it ends up with an incredibly polished sound (it has a sheen to it that makes it sound so glossy). Ruined! Nowadays, if I hear about a new song that has been, or is going to be, produced by Jeff Lynne, my first thought is “Oh, no!”. An enjoyable version of a song by The Standells, played by a pub rock band from Britain. (I didn’t know any of this until YouTube told me and then Wikipedia backed it up.) From what I’ve now heard of The Inmates (i.e., two songs), they remind me a lot of Doctor Feelgood. I can’t really offer much in the way of penetrating commentary on this particular song, partly because I spent so much time venting my spleen on Jeff Lynne’s production habits (see above), but also because there’s nothing much I can say about it. For me, the song is what it is – standard Sixties R&B, played by an R&B-loving band but with a slightly more modern sound. It’s the kind of song that I like only if I’m in the mood for it. It’s a good thing for you I was in the mood for some updated Sixties R&B. Funky! This is also the kind of thing that I can only listen to if I’m in the mood for it. I thought it was OK, but didn’t light any Funk fires for me. I’d prefer to listen to something that was a bit livelier – such as Mezzoforte’s “Garden Party” or Level 42’s “Mr. Pink”. But I’m glad you suggested “Saxafunk”, if only for the drum beat. That’s a great drum beat. Thanks for the variety yet again, Frank. You are currently browsing the archives for the ELO category.